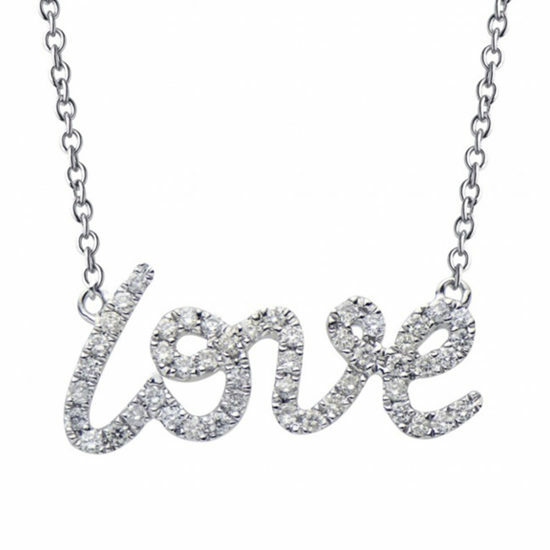 Graceful and timeless, the Love pendant is the perfect gift for your special someone. Round Brilliant cut diamonds add glittering elegance to this 18k white gold necklace. 0.16 total carat weight.